The Virginia Department of Game and Inland Fisheries is currently determining the distribution of fox squirrels in southeastern Virginia (Tidewater and East Piedmont) and needs your help. The variety found in southeastern Virginia typically has a black “mask.” Their backs may be black or grayish red and the undersides may be white or light orange-red. The fox squirrel can be easily distinguished from the more common gray squirrel by its size. 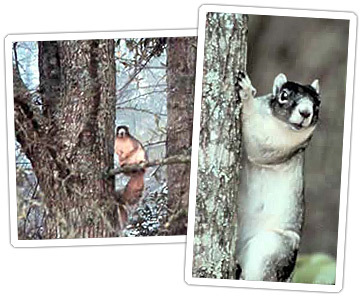 The fox squirrel is almost twice as large as the gray squirrel. If you have seen a fox squirrel in southeastern Virginia, please let us know.